The Klamath Falls City Parks, in partnership with the Klamath County Historical Society, produced a colorful Walking Guide of Linkville Pioneer Cemetery. The guide includes a coded map and highlights 20 selected pioneers located along the paved perimeter roads, making for a gentle walk around the cemetery. The Guide is keyed to a short companion history for the graves that can be accessed online or via Q&R code. City Parks Superintendent Ken Hay provided design guidelines and graphics oversight; historic society volunteers provided text and photos as well as the companion histories on the website. The Oregon Commission on Historic Cemeteries grant provided most of the funds to produce and print the brochure. 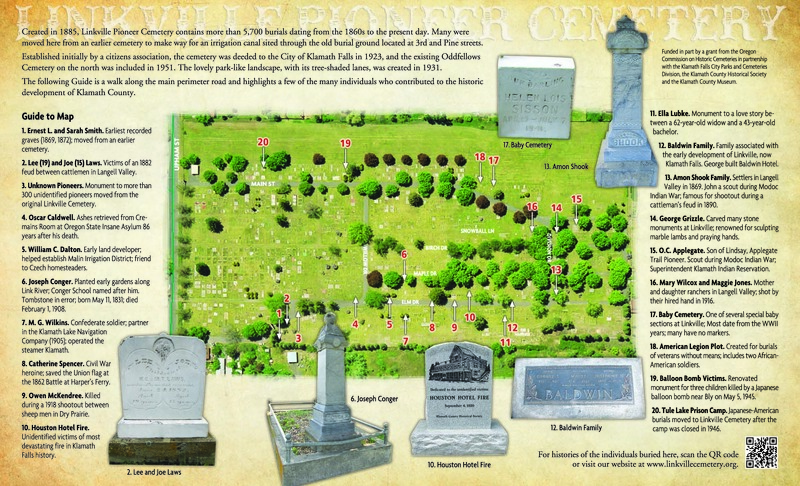 In addition to the pioneer highlights and photos, the guide map is based on an aerial photo that provides clear perspective of the entire cemetery. Many local families and genealogy enthusiasts were especially pleased with this map. The grant was fortuitous in this respect because it provided most of the funds needed for the professional graphics design, which is exceptional. The Guide fills a need frequently expressed by families, tourists, school teachers, and historians who visit and use the cemetery. Local elementary school students and Boy Scout groups learn about pioneer history as well as historic cemetery preservation during field trips to the cemetery. The cemetery is used by the local high school biology teachers for tree identification, and the map is a good base for locating species. 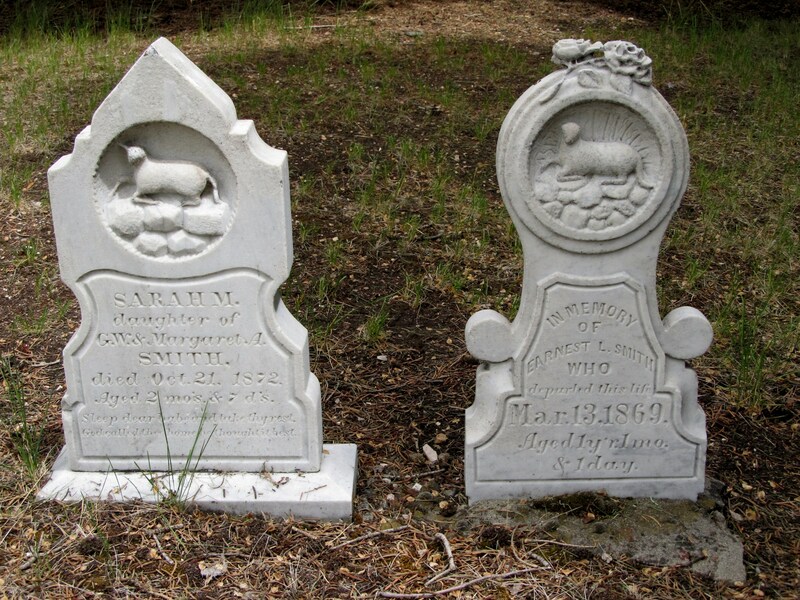 The Klamath County Historical Society conducts annual tours through the cemetery and the brochure provides helpful accompaniment. The website companion histories already are being accessed by genealogists, at least one of which who has expressed appreciation for the narrative about his ancestor Ella Lubke. Tourists also have enjoyed the visit to our local pioneer cemetery and the clear guide to the grounds as well as local history highlights easily accessible on our website. Linkville Cemetery is under consideration today for listing on the National Register of Historic Places. The Oregon Commission on Historic Cemeteries offers grants for all kinds of historic cemetery projects.